Mine didn't and didn't know what I was talking about. I know someone posted a picture of it or something somewhere in this thread. Just was wondering if someone knew where it was or could post it again. 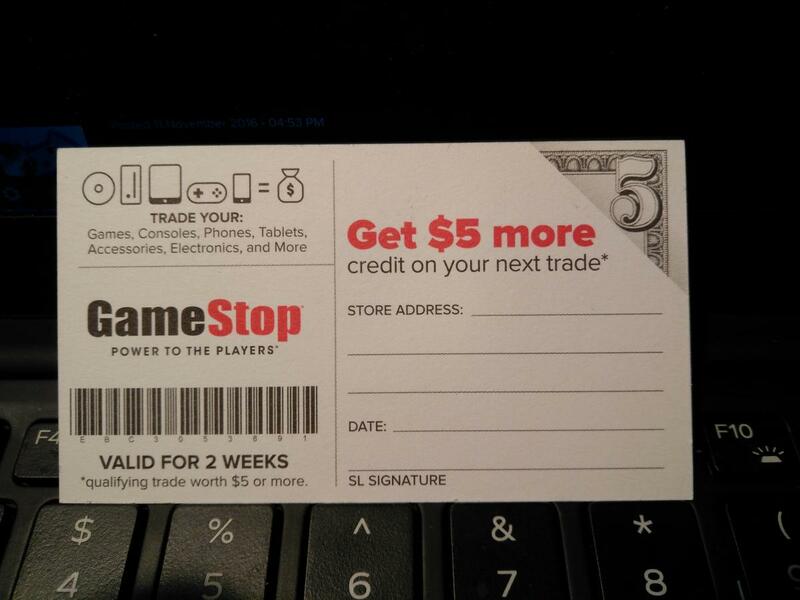 Does anyone have that coupon that gives you the $5 extra trade credit? Every time I try to check out with 2 of the $43 and a physical card from Best buy it gives me an error. It's doing it when I go to log into my paypal. It lets me do it with just the physical card or just the digital ones but not both. Anyone have an idea what to do?